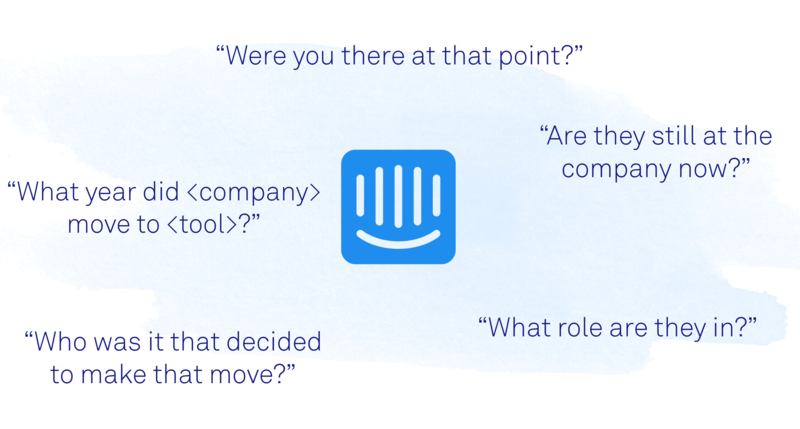 At Intercom we’re big believers in using the Jobs-to-be-Done framework to help us innovate and build the features that our customers need. That means our product research team, which I work on, has to carry out deep research into our customers, especially around their purchasing decisions. Understanding our customers’ purchasing decisions informs us why customers buy Intercom products, why they switched from a competitive product to ours, and also reveals if customers are struggling with our product at the moment. While Jobs-to-be-Done is a mature, well-documented framework, it’s primarily been used to help innovate on and sell physical products – like milkshakes and mattresses – rather than software. That was a real problem for me when I first began to apply JTBD to my research at Intercom. At a talk I gave on the recent Inside Intercom world tour I shared some of the insights I’ve gleaned from applying JTBD to software. Prefer a written account? You’ll find a lightly edited transcript of my talk after the video. And if you want to dive even deeper into how we used JTBD for product research I wrote a blog post about it earlier this year. Today I’m going to be talking about Jobs-to-be-Done and the research we’ve carried out using Jobs-to-be-Done. We’ll start with a bit of background for those who don’t know much about the technique. It could be said this quote from the 1960s from Theodore Levitt, that “People don’t want a quarter-inch drill, they want a quarter-inch hole,” was the inspiration for Jobs-to-be-Done. Tony Ulwick, from an innovation company called Strategyn, became enthralled by this quote and this insight, because it just seemed so obvious, yet so overlooked in our industry. In the early 1990s he came up with the Jobs-to-be-Done method as a helpful way of looking at customer motivations rather than customer attributes. It was so effective that it was taken up by the likes of Bob Moesta from The Rewired Group and Clay Christensen from Harvard Business School, who each took it on, adapted it and became pioneers in the method. They’ve subsequently become synonymous with Jobs-to-be-Done. Fast forward to today, and companies all around the world are using Jobs-to-be-Done as a helpful way of understanding the real jobs the customers are using their products for. They’re using this to then innovate on their products. 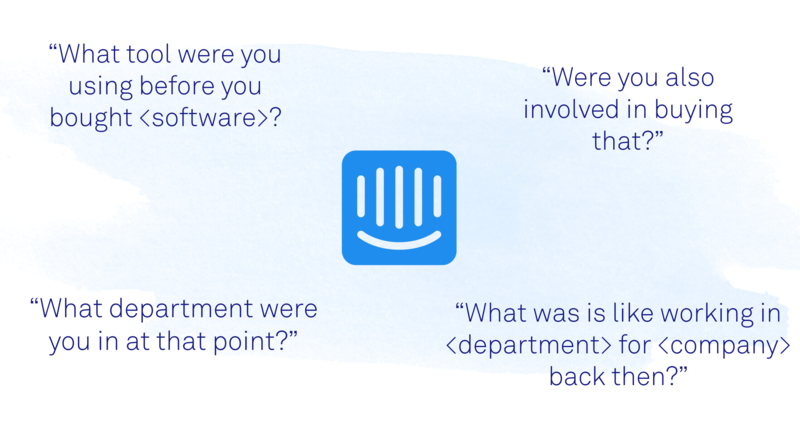 At Intercom we’ve been using Jobs-to-be-Done for quite a few years now, and it’s been so transformative for our business that it’s now hitting all aspects of the company. For our product marketing, we use Jobs-to-be-Done to figure out what are we going to put on our landing pages. We also use Jobs-to-be-Done to uncover the real jobs our mobile customers are using our apps for. But as a product researcher, I work horizontally across all of our core product teams, and I help them to understand what are the jobs that our customers are using us for, so we can then iterate and innovate on the features. In order to inform all of our product strategy using Jobs-to-be-Done, we have to carry out some pretty comprehensive research into our customers, especially around their purchasing decisions. This type of research is really, really important for any software company, and it’s invaluable, because by understanding your customers’ purchasing decisions, you’re understanding why customers buy your product, why they switch from a previous product to yours. What was it about that previous product that they didn’t like, that suddenly they like yours for? Even though in your head you’re like, “That previous product is a little bit cheaper, little bit better. What is it about our product that’s making them switch?” Also, you find out, are our customers struggling with our product at the moment. If so, why is that? Is it because we’re not innovating and we’re not creating the feature sets that will help them in the jobs that they’re using our product for? Luckily, Jobs-to-be-Done interview techniques, which is what the research team use, gives you this toolkit which helps you to uncover these motivations, situations and anxieties around the purchasing decisions of your customers. When I first began to look at Jobs-to-be-Done, I was a brand new researcher – I was a designer before that. I was told about this thing, Jobs-to-be-Done, and I found tons of resources online, but everything was about physical products. Working in enterprise software, I was left kind of going, “Er, what?” Everything was around milkshakes and mattresses. This brought on a tiny bit of skepticism, and I started thinking to myself, “Well, can’t we use traditional interview techniques to uncover these kinds of insights?” Also, there was the big question, “How on earth do I apply this to software?” What we learned through trial and error was to make make the most of the JTBD framework. What we did was we tweaked the fundamental interview techniques to better suit our product development needs. These interview techniques for Jobs-to-be-Done have three core aspects: the timeline, the four forces, and extracting the first thought, which is what I’ll be talking about tonight. Extracting the first thought in Jobs-to-be-Done interviews is crucial, because this is the starting point to an entire timeline of events that led to a company buying software. It usually starts with somebody thinking to themselves, “This current solution just isn’t cutting it.” You would think that this is a really easy thing to find out. It’s like, “Yeah, obviously they just thought of it one day and they’ll just tell me about that.” Wrong. What we found was that the reason that all the examples were around physical products is because extracting the first thought for physical products is actually very easy to do, because people feel emotional connections to physical products. Especially something like a mattress, that you don’t buy that often and when you do buy it you spend six, seven, eight, nine, if you’re lucky, 10 hours a night sleeping on it. You’re able to bring people into the emotional mindset, the physical setting and all the emotional triggers that led to them buying a new one. For a mattress you could ask them questions like, “When did you start to look for a new mattress?” “Who was with you at the time? Where were you?” But, for software it’s a bit more tricky than that, because companies switch between and buy software all the time, and much to my disappointment, people don’t really feel deep emotional connections to software, let alone business software. It’s not like asking the question, “Was it raining on the day that you signed up for that time tracking app?” is going to help jog an interviewee’s memory about the first thought they had for a software purchase a year ago. or multiple tools being used for the one job by different departments. We decided to try and use these functional aspects to our advantage, even though traditional Jobs-to-be-Done interview techniques tell you to hone in on the emotional side of things. What we did was focus on the functional aspects of the business, as well as the emotional triggers. Now, we ask questions like, “What tool were you using before that software?” Then we’d hone in on that specific person and we would say, “What department were you in? What was it like working in that department at that time?” We found this approach to Jobs-to-be-Done interviews to be really successful in uncovering these motivations, situations and anxieties that a company goes through when they start the process of purchasing new software. Along with extracting the first thought, which was hard enough, but then we had to ensure we were asking the right people these questions. Who are the key players here? Who are the main decision makers behind this purchase? A lot of times we would go in, we would recruit, we would target people, we would schedule, then we’d reschedule and probably reschedule again. Then we would get this: “Oh, I wasn’t at the company when that happened,” which can be really, really frustrating. In our mattress example, this was like trying to interview the parent who bought a mattress for their kid. Talking to the kid is fine. They’re using the mattress at the moment. 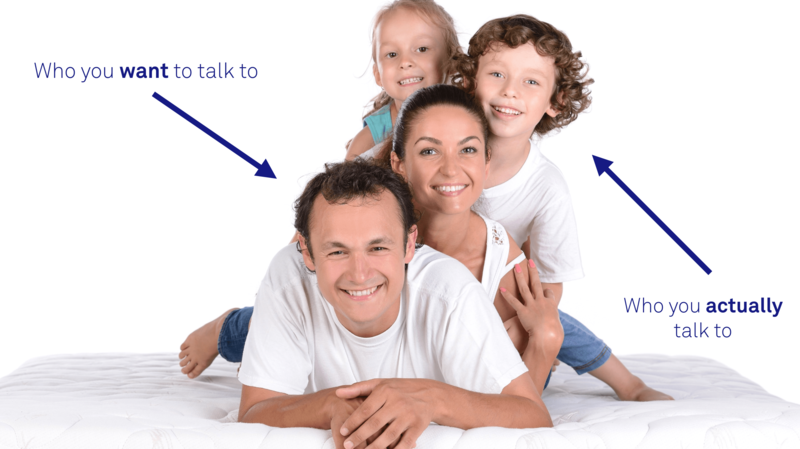 Trying to find out how the mattress is working out right now is still useful information, but what you want to do is talk to the parent. It was the parent who bought the mattress, and it was them who went through the motivation, the situation and the anxiety. To try and combat this we ask questions very early on in an interview to figure out who are the key players and are we talking to the right person? Now, we ask questions like, “What year did the company move to that tool? Who was it that made that final decision? Are they still here at the company? What department are they in? What role are they in?” We would secretly just jot down this person’s, or these people’s, names. This also informed us if we had to conduct more interviews, or if we were getting the full picture, because getting the full picture is crucial for understanding the purchasing decisions of your customers. Traditional interview techniques will only get you so far. Uncovering who the main decision makers are who had this first thought, and who led the company through this process of buying new software, gives you far more insight into how you can innovate your software. Also, it gives you better insight into the inner workings of the company itself. If you want to get started with Jobs-to-be-Done, and conduct your own Jobs-to-be-Done interviews, don’t get thrown by mattresses, and milkshakes, and other physical products. Remember, purchasing decisions, especially for software, are multidimensional and complex, so use the functional aspects of a business, along with the personal frustrations and the emotional triggers that people have. Ensure that you talk to the main decision maker. Ask the right questions early on in an interview to find this out. If you want to find out more about how to apply Jobs-to-be-Done for software you should check out our book, Intercom on Jobs-to-be-Done.